Sterile, ready-to-use 70% Denatured Ethanol (EtOH) solution designed especially for sterile cleanroom cleaning and disinfection use. Made with Water-For-Injection (WFI), filtered to 0.2 µm, individually double-bagged and gamma-irradiated to ensure sterility and a clean environment. Made according to USP specifications and packaged in a Class 100 cleanroom. Each lot undergoes a USP 14-day sterility test as well as a bacterial endotoxin test to ensure that the product meets or exceeds Water-for-Injection quality in endotoxin limits. Each case is shipped with traceable lot specific documentation which details QC, irradiation, sterility and bacterial endotoxin limits. 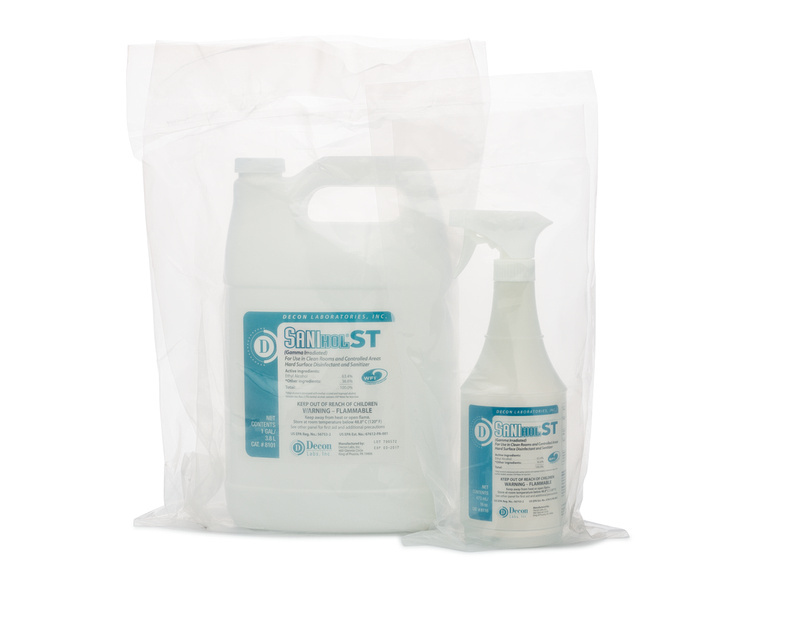 Sanihol ST 70% sterile Denatured Alcohol is an EPA-registered disinfectant. Available in both trigger spray bottle with heads attached and gallon size.